Brigade [bri-geyd] : a group of individuals organized for a particular purpose. 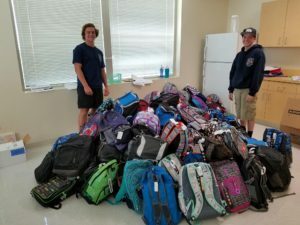 Our community has been so helpful during Lance’s fight. From an early response to ensure our home was clean and safe for Lance to return to after being flown to Dallas for life saving leukapheresis procedures… to the football community being there for him and ensuring him that he still had a home with them… to responses to our calls for assistance with donations for the CBCC and Dell Children’s hospital. Thus the “Brigade” was born. Lift Brigade® works to provide manpower to needed projects and clinic needs. An example of this effort is a recent teaming with the Young Men’s Service League Cedar Park volunteers to help stuff brand-new backpacks for pediatric cancer patients and their siblings with school supplies at Children’s Blood & Cancer Center at Dell Children’s last week. 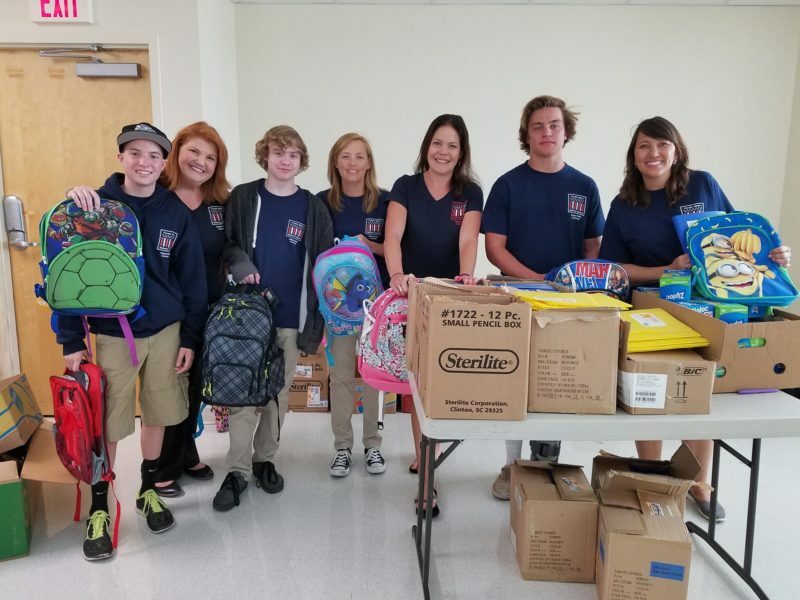 The amazing Superhero Kids – Supporting the Children’s Blood and Cancer Center generously donated the backpacks and supplies to the clinic, Lift Brigade provided the manpower. Whew, what a workout – that was a lot of *LIFT* – ing!